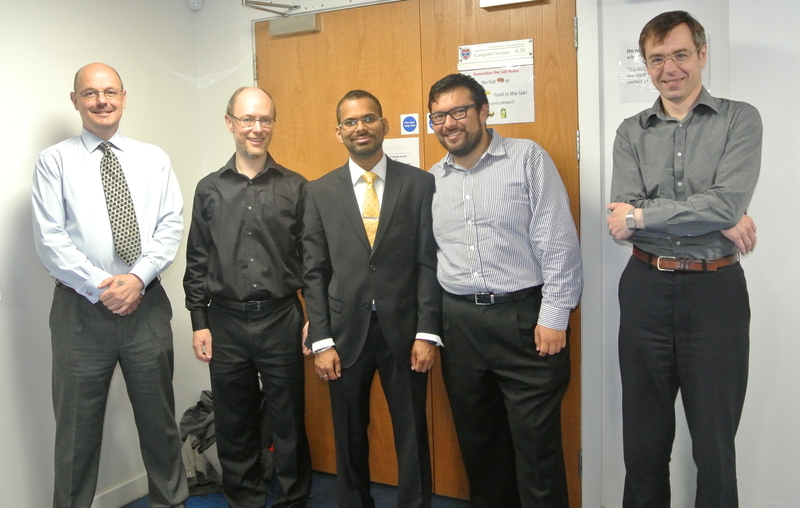 Congratulations to Vinodh Rajan Sampath, who successfully defended his thesis today. He is pictured below with supervisor Dr Mark-Jan Nederhof, research student Juan Mendoza Santana and internal examiner Dr Tom Kelsey. 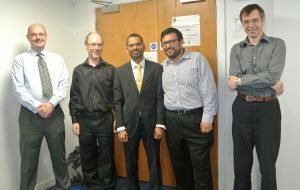 Dr Peter Stokes from King’s College London, acted as external examiner.